You wouldn't naturally think of Tim Burton as a key cog in Disney's unprecedented dominance in recent years, but he absolutely is. His 2010 film Alice in Wonderland earned over $1B and set Disney on a tear of successful live-action remakes. 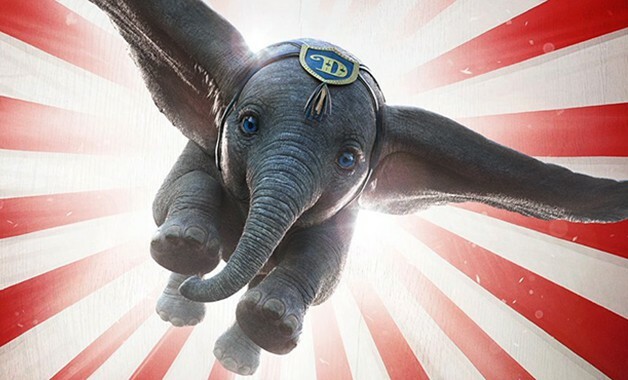 And now it has come full circle with Burton's remake of 1941 animated classic Dumbo, which has just unveiled a soaring new trailer featuring everyone's favorite big-eared elephant. Whereas the broken fantasy realm of Alice in Wonderland proved a suitable fit for Burton's macabre style, the circus atmosphere of Dumbo also appears to be up his alley. Loosely inspired by the 1941 film, the latest version of Dumbo stars Colin Farrell as a former circus star who, along with his two kids (Nico Parker and Finley Hobbins), is hired by struggling circus owner Max Medici (Danny DeVito) to care for a newborn baby elephant with giant floppy ears. Michael Keaton plays an evil entrepreneur who seeks to exploit Dumbo's high-flying prowess. Eva Green is the trapeze artist who Dumbo takes to the skies alongside. Burton's mainstream studio efforts don't typically hold much of an appeal for me, but this is a beautiful movie and I dig it any time he gets to work with Eva Green, as he's done previously on Dark Shadows and Miss Peregrine's Home for Peculiar Children. Dumbo hits theaters on March 29th 2019.